The P4NA60 N-Channel power mosfet 600V, ID=6.2A in a TO-220 package. Equivalent to the NTE2379 power mosfet. 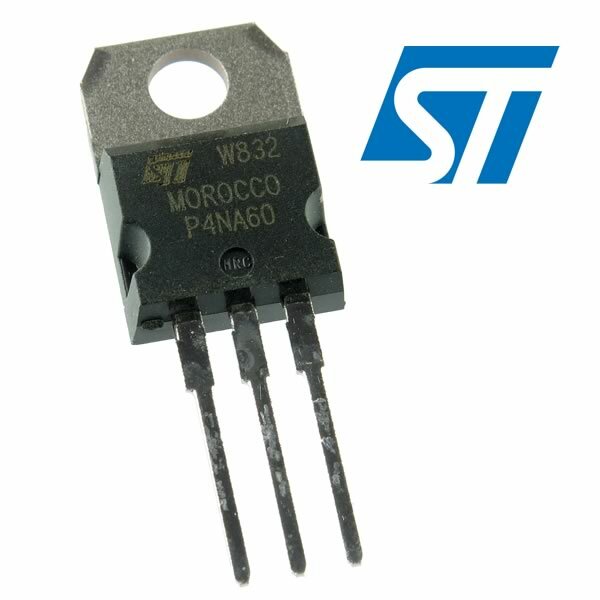 Manufactured by STMicroelectronics. Sold in a package of 5.